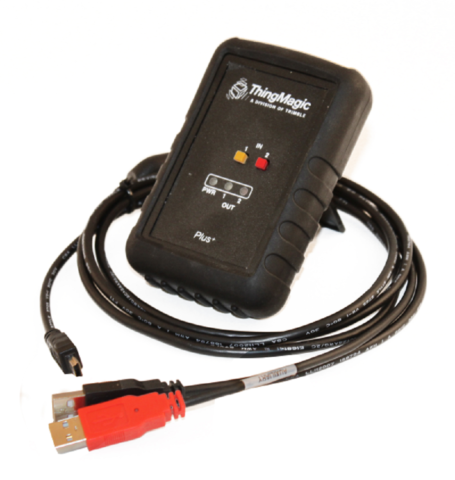 The Ultra Encoder software is used in conjunction with the ThingMagic USB Reader to encode UHF Gen 2 tags prior to a race. The software has all the required functions needed to safely encode a series of tag codes with error checking whilst saving the bib chip file. 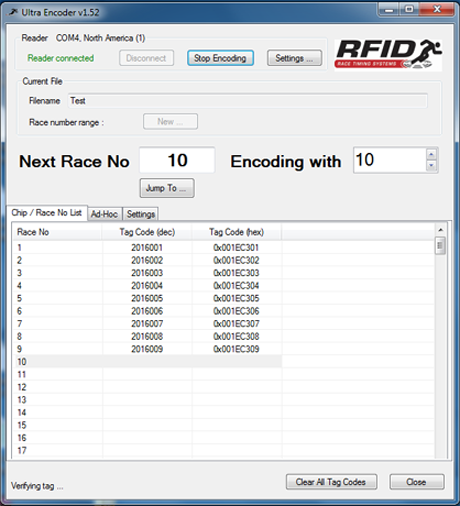 This software and reader is a must for timers wanting to encode a series of blank tags that have been applied to race bibs.